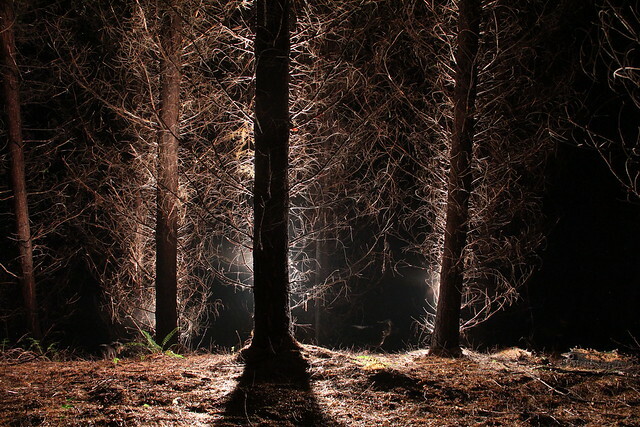 I went to the woods the other night with my camera and some lights. It was fun but it was also creepy! Here are two pictures. For this one I opened the shutter and then ran around behind the trees and lit them up one at a time. This was the picture I was thinking about when I went to the woods that night. This one I just took along the way. 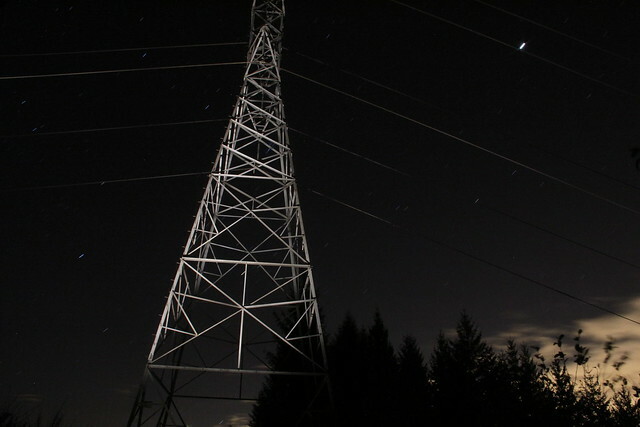 All the light on the pylon is from me. I’d like to try something like this again but with a shorter exposure so the stars don’t blur like that.